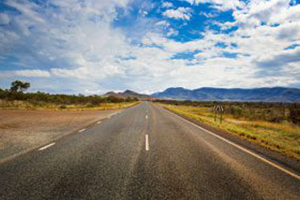 Two tenderers have been shortlisted to duplicate a section of the Bruce Highway as part of the $481 million Cairns Southern Access Corridor Stage Three project. John Holland Seymour Whyte AECOM Joint Venture (HSA Group) and Bielby Hull Albem Coleman Joint Venture (BHA Coleman JV) have been invited to participate in the Early Contractor Involvement (ECI) phase for the project. The winning contractor will widen the highway from two to four lanes, with a four lane bridge built over several creeks and provide safety access improvements where the highway intersects with local roads. Deputy Prime Minister and Minister for Infrastructure, Transport and Regional Development Michael McCormack said the project would cater for future population growth and increasing demand on the road network. “These measures will go some way towards making this section of the highway safer and capable of catering for future traffic volumes,” he said. Queensland Minister for Transport and Main Roads Mark Bailey said the ECI stage was a key phase in the project timeline. “It provides the two tenderers the opportunity to be involved in the preliminary design process and work closely with Transport and Main Roads,” Mr. Bailey said. “Throughout the ECI process, the tenderers will consider design alternatives providing balance between functionality, project cost and construction impacts, as well as how innovative construction methods can be included in the design. “The project is a fantastic development for Far North Queensland and will ensure the region has the road infrastructure in place to support its economic future,” he said. Member for Leichhardt Warren Entsch said the upgrades would reduce congestion in the long term. “This project demonstrates the Federal Government’s commitment to improving safety and reducing congestion on the Bruce Highway in the Leichhardt electorate and across Queensland,” Mr. Entsch said. Member for Mulgrave Curtis Pitt said the upgrade will have significant economic impacts during the construction phase, supporting hundreds of jobs and pumping millions of dollars into the local economy. “The upgrade will complement the recently announced State Development Area and associated jobs, as well as accelerate housing construction in our fast-growing southern corridor,” Mr. Pitt said. The Federal Government has committed $384.8 million to the project, with the Queensland Government contributing $96.2 million. Construction is expected to start in 2020 and be completed in mid-2023, weather permitting.